By popular request: When clearing up after matches and training sessions alot of kit – tracksuit tops, gloves, drinks bottles etc are often left behind. Ian has a good collection of stuff and he is giving me a list shortly. I have created a new Catagory called Lost & Found and after each Saturday will post if I have anything left behind. If your son’s kit is on the list give us a call. I’ll leave the ‘Comments’ section under these posts open and then you can send through a message if you have lost anything. The Comments come through to me by email first before they would appear on the blog – so don’t worry if nothing shows up. I should get your message when I check my emails. We now have our new match kit sponsered by DrillMac International. 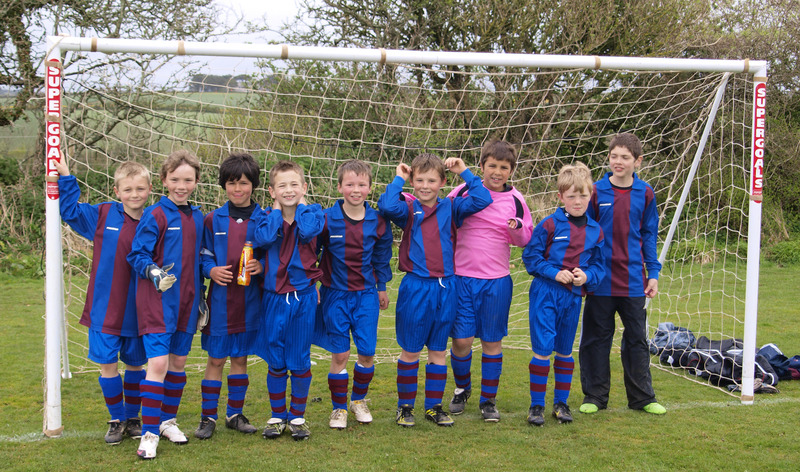 Modelled here by the Goats at our Cup Final in April 2010.